Join Show Offs in Our Live Studio Audience! 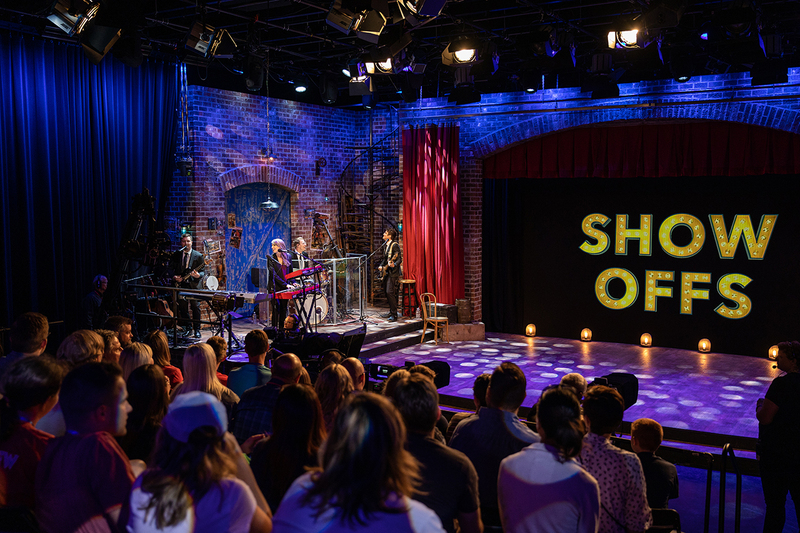 Show Offs is a half-hour musical improv comedy show on BYUtv and we want YOU (and 3 of your friends) to be part of the live audience! 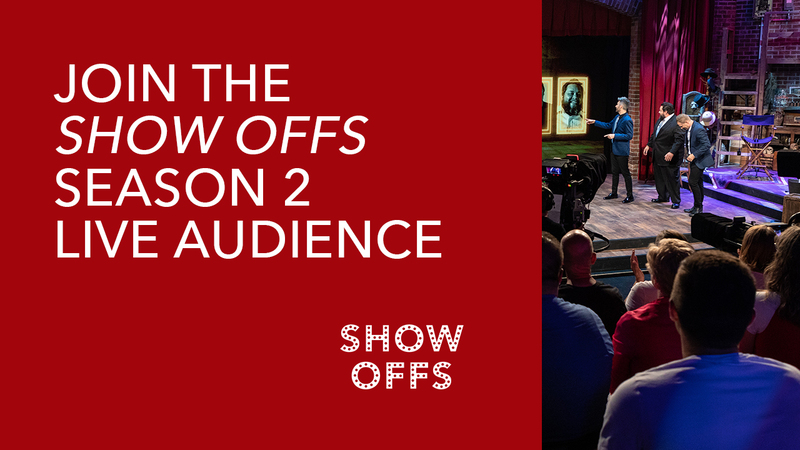 Register below and be the first to experience Season 2 of Show Offs before it airs nationwide. 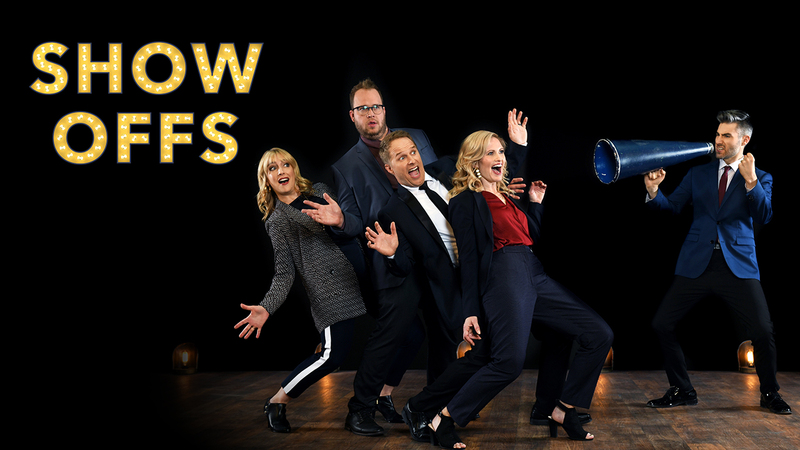 Hosted by comedian Casey Jost, Show Offs also features cast members Lisa Clark (Random Acts), Maclain Nelson (Saratov Approach), Hailey Smith (Once I Was a Beehive), and Jake Van Wagoner (My Brother, the Time Traveler). Come watch the cast, along with a special celebrity guest, “show off” by performing a spontaneous improvised play or musical, prompted by random ideas from the studio audience! How many seats does registration get me? Once the registration window opens on March 4th, you can reserve up to 4 seats per e-mail address. Since we want more of our fans to enjoy the live shows, we encourage you to register for only the date and time that works best for your schedule—we want as many people to experience Show Offs as possible! Is there a minimum age requirement to attend the taping? Yes! Audience members must be at least 8 years old and all minors must be accompanied by an adult. Tapings will take place on March 27th, March 28th, March 29th, and March 30th. On each taping evening, there will be both a 6pm show and a 9pm show. Seating for each show will begin 30 minutes prior to show-time each evening. Guests who register to attend a live show must have checked in at the BYU Broadcasting building before seating time to guarantee your seats in the audience. Where do the tapings take place? How long will each taping be? We ask that you be in your seats at the time listed on your ticket. Filming will start about 30 minutes later and will continue for no longer than an hour and a half. Please plan to be there for the entire time. Clothes. Definitely clothes. And please make sure your clothes don't have any large or prominent logos and/or images on them. Parking is available in the lot directly north of the BYU Broadcasting building. Please enter through the main building entrance. Will the show be funny? Register for a Live Taping!